JAKARTA — The Philippines will try to win its first gold medal in artistic gymnastics in the 18th Asian Games when Carlos Edriel Yulo sees action in the men’s all-around finals at the Jakarta International Expo Hall at 4 p.m. here (5 p.m. Manila time) on Thursday. The 18-year-old Yulo, who has been training in Japan for the past three years, finished on top of his favorite event — floor exercise — in the eight-man field with a score of 14.500 points on Monday. Chinese Taipei’s Chia-Hong Tang placed second with 14.450 points, followed by Japan’s Kakeru Tanigawa, who registered 14.400 points. Yulo was ranked No. 7 in the men’s individual all-around with a total score of 80.750 points. China’s Lin Chaopan topped the event with 86.750 points. Lin won the floor exercise and the horizontal bar events in the 2017 Asian Championships in Bangkok, Thailand. He also got the silver in the individual all-around event in the 2017 World Championships in Montreal, Canada. Under the guidance of Japanese coach Munehiro Kugiyama, the 4-foot-11 Yulo qualified in the eight-leg World Cup Gymnastics series, where he won the silver (Baku, Azerbaijan) and the bronze (Melbourne, Australia) in vault, and the silver in the floor exercise in Doha, Qatar. In Qatar, Yulo scored 14.433 points to finish second behind eventual champion, Russia’s Dmitrii Lankin, who scored 14.733 points. He also won over Japan’s Ryohei Kato, who pocketed the gold in the team all-around event at the 2016 Rio Olympics. The two-time Palarong Pambansa champion has proven his potential as a medal contender in the 2020 Tokyo Olympics when he captured five medals, including two golds, in the 8th Pacific Rim Gymnastics Championships at the Xfinity Arena in Everett, Washington two years ago. Competing in the juniors category of Men’s Artistic Gymnastics, Yulo dominated the floor exercise and vault events. He placed second in the parallel bars and rings events and finished third in the all-around. 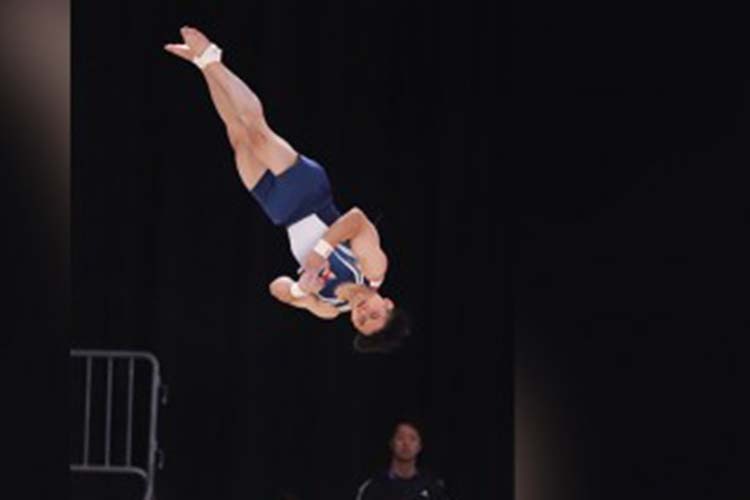 In 2015, Yulo placed third in the juniors (14-18) vault event at the International Junior Gymnastics Competition held in Yokohama, Japan. Gymnastics Association of the Philippines (GAP) President Cynthia Carrion has noted that Yulo’s stunning performances in top-level competition abroad is a good indication of his potential to qualify in the 2020 Tokyo Olympics. “Yulo is mentally strong and he’s been doing very well,” said Carrion in an interview in Manila. Carrion expressed hope that the Philippine Sports Commission (PSC) would continue to support the GAP’s training program, which includes competing abroad.